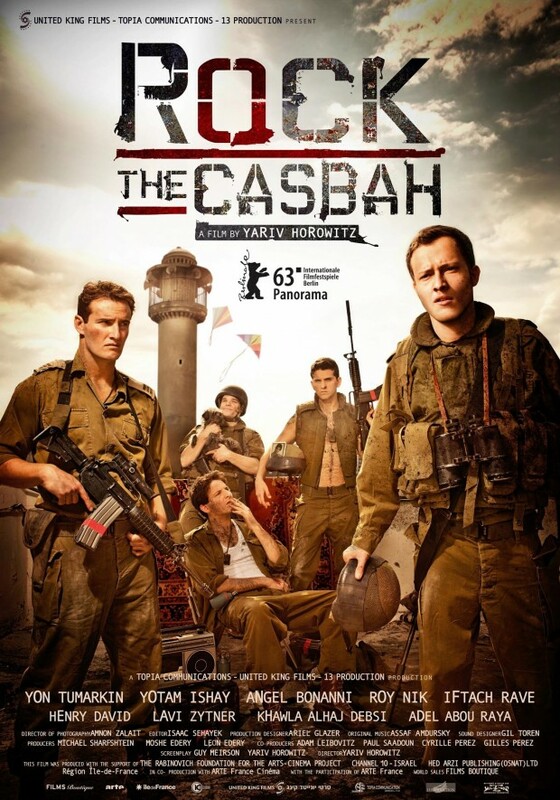 Today we have the first poster and trailer for the upcoming drama movie Rock The Casbah directed by Yariv Horowitz. The year is 1989. In an era of Palestinian demands for independence, the State of Israel sends young soldiers to oversee the Arab population in the Occupied Territories. After one of them is killed, the common fate of four young soldiers and one Palestinian family is sealed. 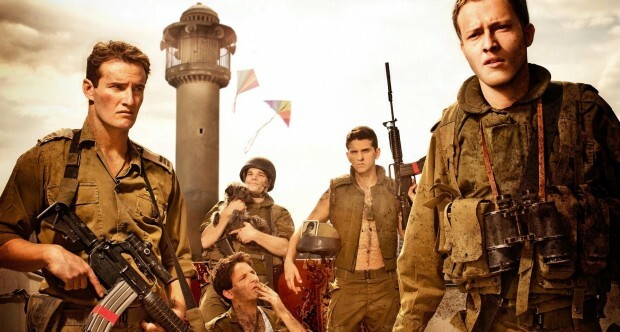 The film describes the extraordinary journey of a young soldier trying to find his place in the chaos surrounding him. Yon Tumarkin, Roy Nik, Yotam Ishay, Rave Iftach, Khawla Alhaj Debsi, Shmulik Chelben, Adel Abou Raya, Or Ben-Melech, Angel Bonani, Anchel Bunani all star in Rock The Casbah which at this point does not carry a release date. The Gaza Strip in the early summer of 1989. A company of young Israeli soldiers reports for duty in the occupied area. Continuous clashes with the Palestinian population soon claim their first fatality: one of the soldiers, Iliya, is killed when a washing machine is dropped on him from the rooftop of an apartment block. The perpetrator escapes. In order to find him, their commanding officer orders some of the soldiers to take up position on the roof for the weekend. In spite of vehement protests from the building’s Palestinian owner, who fears being considered a collaborator, Aki, Ariel, Haim and Tomer begin their vigil. A lounger is set up and they listen to rock music on their transistor radio. But when the dead soldier Iliya’s father, now a broken man, pays them a visit they realise each and every one of them will lose their innocence in that place. What did you think? Please leave your thoughts in the comments section. Reproduction without explicit permission is prohibited. All right reserved. Photos & certain artwork used on MovieProNews are copyright protected and are the property of their respective owners. & other trademarks used herein are the property of their respective owners. 114 queries. 0.069 seconds.